All Brick Ranch in fantastic location! 304 N Parkside Normal, IL 61761 is conveniently located on Parkside Rd which is home to Parkside Elementary, Parkside Junior High and Normal West HS. 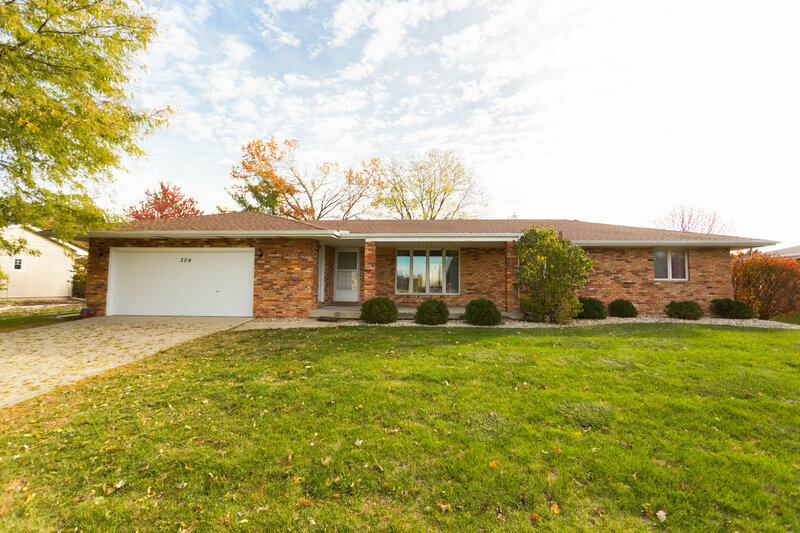 This home offers two living spaces, a formal dining room, three bedrooms, and two full baths. The 50 x 27 unfinished basement offers great opportunity for more finished space. Master bedroom has dual closets and private full bath. Other features include kitchen with breakfast bar, family room with brick, gas fireplace and sliding door access to large deck, fenced in backyard with plenty of space, large covered front porch and 2 car garage!